​United States Attorney General Eric Holder said Thursday that the police department of Cleveland, Ohio has engaged in a pattern of excessive force during the last few years. 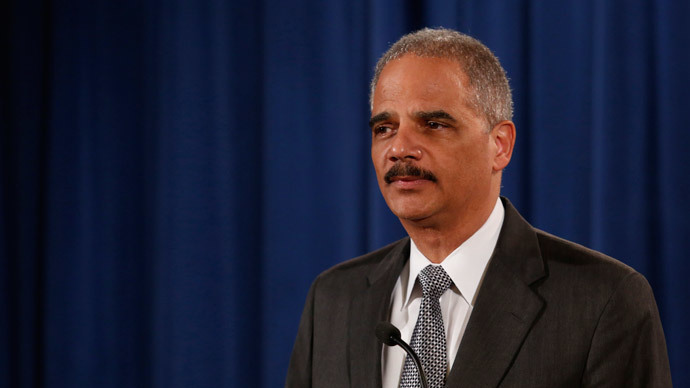 Speaking from Cleveland, Holder said that a year-and-a-half-long investigation launched by the US Department of Justice has uncovered evidence of “systematic deficiencies,” “inadequate training” and “ineffective policies” exhibited by local law enforcement between 2010 and 2013. There have been examples of “unreasonable and unnecessary use of force by the Cleveland division of police” during that span, Holder said, evidenced by 600 examples within just three years’ time, along with what he described as “inadequate engagement with the community” on behalf of the police. Specifically, the review found that Cleveland police officers too often used deadly force when it was not called for, in cases which included not only shootings but also the striking of suspects in the head with weapons. The report found this behavior extended to police use of tasers, fists, and pepper spray, which were all used in excessive, unnecessary and retaliatory ways. Additionally, officers employed excessive force against mentally ill individuals, even at times when the police were called in for help. “We found that CDP officers too often use unnecessary and unreasonable force in violation of the Constitution. Supervisors tolerate this behavior and, in some cases, endorse it,” the report reads. As a result, an independent monitor will help oversee reforms for the department, with support from the city. More than 20 police department investigations have been conducted during Holder's term as attorney general, resulting in agreements and changes at agencies in New Orleans, Seattle, Detroit, and Albuquerque, among others. Last month, a Cleveland police officer fatally shot a 12-year-old boy holding a toy gun at an area playground.